It’s been clear for a while that The Avengers would be a box office success, though few people could have foreseen this opening. The superhero team-up got off to an unprecedented $207.4 million start this weekend in the United States, which obliterates the previous all-time weekend record set by Harry Potter and the Deathly Hallows Part 2 last Summer ($169.2 million). While it fell short of setting a new opening day record (that still belongs to Potter), The Avengers was responsible for new high marks in most other major categories. It was the fastest movie ever to reach $100 million, $150 million, and $200 million, and it set new records for Saturday ($69.6 million) and Sunday ($57.1 million) grosses. 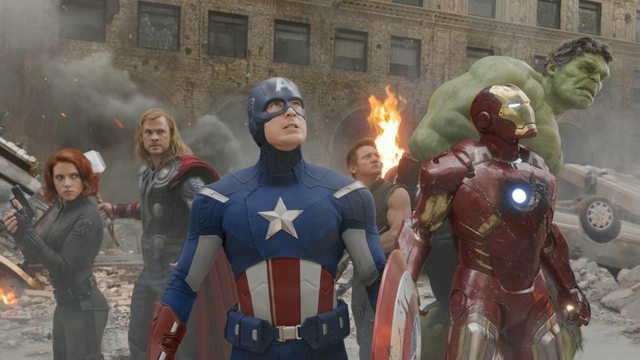 Through its first three days, The Avengers has already grossed more than Thor ($181 million), Captain America: The First Avenger ($176.6 million) and The Incredible Hulk ($134.8 million). It’s still behind Iron Man and Iron Man 2 ($318.4 million and $312.4 million, respectively), though it should pass those movies next weekend. The incredible opening weekend gross for The Avengers is mostly the result of a lengthy, extremely effective marketing effort which began all the way back in 2008 when Nick Fury made his first appearance after the credits in the original Iron Man. The Avengers [Action / Adventure, 2 hr. 2 min.] Robert Downey, Jr., Chris Hemsworth, Chris Evans, Jeremy Renner, Mark Ruffalo, Scarlett Johansson, Clark Gregg, Samuel L. Jackson, Cobie Smulders, Tom Hiddleston, Stellan Skarsgard, Gwyneth Paltrow. The Best Exotic Marigold Hotel: [Comedy / Drama, 1 hrs. 58 min.] Tom Wilkinson, Judi Dench, Dev Patel, Maggie Smith, Bill Nighy.